Selecting your type of hurricane protection is really not much different than selecting a new automobile. Simply pick out the one that you want and decide which place to buy it from. However, bringing home a “demo” for a couple of days or even taking a “test drive” is probably not going to be an option. The next best thing to a test drive is seeing what friends and neighbors are using or have used. After that, viewing web site photo galleries are probably the next best thing because many types of aftermarket hurricane protection won’t be visible until a storm is imminent. If you’ve waited until a storm threatens to decide, it’s most likely too late to do anything but screw plywood or OSB (if there’s any left at the big box stores) to your windows. Brand loyalty will probably not come into play so you will have to rely on online research, forums or the tried and true “word of mouth” info gathered from office water-cooler discussions and, of course, media advertising. There are also a multitude of charts available with pros and cons of different shutter method. Our patented Evolution Hurricane Shutters will not be on any of those charts because it’s too new and, until now, hasn’t really been advertised. Enough about that….let’s get started on your plan. Check out these links to get a basic idea of what’s available. First and foremost, at what point do you evacuate? Safety for you and your loved ones and pets should be 1st on the list. Consider all risks before riding out ANY storm – not just wind and rain. Do you want just hurricane protection? Today’s market focus is put on versatility, multitasking and return. Are you able to deploy and take down your own shutters? If you work on the road or are a seasonal resident, this item alone can get pricey. Establish your budget. How much do you want to spend? Lower utility bills and insurance premiums may allow you to spend more on your hurricane shutters. Do you want your protection done all at once or in stages to make it more affordable? Outfitting your windows in stages may ease the strain of your budget. Will you need financing? Some types qualify for loans. Are your existing windows in good shape but just need impact protection? If your current windows are in good shape or are already impact rated, you may only want impact protection. Have you already explored the cost of replacing your windows but the price is out of your budget right now? 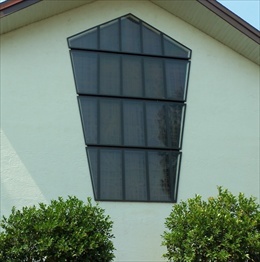 Adding non-porous, clear hurricane shutters will extend the life of your existing windows AND save energy. Are you willing to “mix and match” types of protection to be the most cost effective? Relying on one method of hurricane protection may not be the best approach for your building – or your budget. Are you forced to match the protection in the rest of your neighborhood?(i.e. HOA rules) A good looking product will get approved by architectural review boards with little hassle. Do you want your hurricane protection to do more? Vehicles, cell phones and computers have evolved to do more and now your hurricane shutters have, too. What level of protection do you want? Are you a person who simply wants the best available? Are you just wanting to satisfy your lender or insurer? Sometimes the best isn’t required. Is the building you are protecting your primary residence/business? Is it a place that you can afford to be without and not be homeless? Is it a vacation home or cabin?Is your structure “uninsurable” or is insuring your structure not cost effective? Are your monthly premiums more money that your building payments? Do you own your structure outright but insurance premiums seem out of line? Would you rather protect your building to survive a major hurricane or count on your insurance company to pay to replace it? Based on your insurance companies track record, how long will the wait time be with the insurance company to get repair or settlement check if they have 1000 or more similar claims? Is multifunction protection for you? Is increasing the resale value of your home a priority? 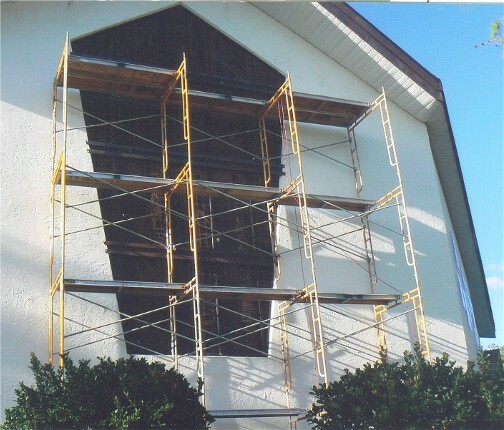 Unsightly protection can actually reduce the value of your structure. A more energy efficient building demands a higher market value. What percentage would you consider to be a reasonable return on investment? Are there security concerns with your structure? Do others in the surrounding area have burglar bars over their windows? Have smash and grab attempts or vandalism from BBs, pellets or rock and other propelled objects been a problem? Are you located in somewhat of a “rough neighborhood”? Is energy savings on your priority list? Would a 30% savings on your heating and cooling costs be a worthwhile savings? Are you environmentally conscious and concerned about your “carbon footprint? Is sound abatement something that you need, want or even thought about? How noisy is your street or neighborhood? Is interior exposure to the effects of ultraviolet rays a concern? Do you have photos, artwork or expensive fabrics in you home, business or church? Do any of your windows or doors have lead camed or stained glass? What would be the replacement cost? Has your insurance company put exclusions on certain items that they will or won’t cover? Consider all of the points above and make the choice that’s best for you. Any plan is better than no plan at all. If all you can afford is high performance window film and plywood, go for it. Just remember that these forms of protection are not recognized by your insurance company. Many municipal building departments will approve it for installation, but your insurance company is quite strict on it’s guidelines and are the ones who control your premiums.